Jan van Eck is CEO of an asset management company that has been around for more than 60 years, and he likes to take the long-term view. His career has spanned active funds, hedge funds and ETFs, and his firm now boasts $40 billion in ETFs alone. Van Eck talked to Jobs In ETFs about the importance of ‘outside the box thinking’, the decision to ditch bitcoin ETFs and how the firm grew from non-US investments after World War II to more than 50 ETFs today. Jobs In ETFs (JE): How did your firm grow to include ETFs? Van Eck: We’ve been around for 60 years and launched the ETF business almost 12 years ago. We saw the attractiveness of the ETF structure and that there was, especially for some type of trading investments, the potential of providing superior liquidity than might otherwise exist in the underlying markets. In natural resource equities, which is historically one of our asset management strengths, you do find in down cycles that liquidity could be challenged. That’s probably been one of the best things of the ETF structure: bringing liquidity to markets. JE: And personally, how did you find that transition between these instruments, as the debate of passive versus active tends to be quite polarised? Van Eck: I consider myself to be more of a business person in the investment world rather than a portfolio manager or investor first and foremost. The most important thing for a fund company is to achieve good performance for clients. To answer your question, I think it was easier for me to recognise that there was a cohort of clients that wanted this type of exposure [ETFs]. It may not be very exciting for active portfolio managers to hear that but that was the reality. JE: Did your legal training help your career and your understanding of the complexities of investment? I have interviewed others who say their regret was not going to law school. Van Eck: I think 90% of all the rules you can learn yourself over time and there are a lot of business people who know the implications and details of laws as well as any lawyer. I think one of the things I find helpful is understanding when there are no legal answers. I have this expression, ‘the fog’: sometimes you just have legal questions and the legal answer is completely vague. You find this in cross-border fund distribution sometimes where the business practice is one thing, the rules are vague and you have to figure it out. Lawyers can give you an answer but you realise there’s a lot of judgment involved in that. A legal background allows you to calibrate some of the legal advice you get. JE: Can you tell me about your firm’s philosophy and has it been consistent since the start? Van Eck: Our overall approach to investing is a very big picture perspective. We look at the major trends going on in the world, either from an historical, technological or political perspective, and ask ourselves whether they present an opportunity or risk to the financial markets that we think is persistent and worth talking to clients about. My dad started the firm offering non-US investments. After WWII, he saw regions like Europe and Japan thriving and growing and companies being attractively valued. There was no MSCI, there was probably no international equities style box at Morningstar, so the asset class hadn’t been really packaged into a mutual fund form. Skipping ahead to 1968, when he looked at the credit cycle in the US, he saw that historically inflation hadn’t always been a problem but if you looked at what the Fed was doing, inflation might become a problem and gold would benefit from this big macro trend. I like to call it ‘out of the box thinking’ in discussions with clients. We also got involved with emerging markets. We certainly weren’t alone there, and Europeans saw this opportunity ahead of US investors, but the fact that communism was falling and China was becoming a market-oriented economy was having a huge impact on the global economy. Again, emerging markets wasn’t always an asset class per se, but we thought in the 1990s it would become an attractive thing to talk about. This year we’ve spent a lot of time looking at digital assets and bitcoin, and wondering if this is a fad or new type of technology with sustainability that means it should have some impact on financial markets, and is it something that we want to understand better and talk to our clients about? The answer was obviously yes. We’re looking for trends – not fads – and putting that into a good fund solution. JE: Last year your VanEck Vectors Fallen Angel High Yield Bond ETF won an ETF.com award. Is there plenty of space left to be a pioneer in terms of innovation, or will it be more about gathering scale and consolidation? Van Eck: There are lots of major investment problems to be solved. That probably goes more to the packaging and models and ETF portfolios than it does to the best new ETF idea. I would agree with the thought that the industry is maturing and new fund ideas are going to be tougher to come by. JE: What do you think about newcomers entering the ETF space and what struggles might they face? Van Eck: I think asset management and ETFs are in a completely new paradigm because it’s typically been a very fragmented industry. Now you have two firms that are completely dominating investment flows and driving the economics of the industry and that has not happened before. I love new ETF innovators and companies but the economics of it are very difficult in this new market structure environment. We are only in the earlier days of that shake out. To illustrate this I will give you a JP Morgan statistic. Over the last five years, the revenue of the top 50 asset managers was flat. So, in a bull market, they were not able to increase revenue and of the top 50 firms, only two had an increase in revenue over that period and the other 48 saw a fall. It’s hard to grow in that environment. JE: You talked about bitcoin at the Inside ETFs event in Florida, months after your firm launched cryptocurrency indexes but withdrew an application to file for a bitcoin ETF. What unanswered questions are left when it comes to bitcoin? Van Eck: Broadly, for digital assets, one of the biggest questions is how many applications, or uses, of distributed ledgers [databases that are shared across networks and aim to prevent cyberattacks] will emerge and be used by people, other than for cryptocurrencies. I see crypto currencies as a store value, a digital gold. What else will emerge? Will people start using distributed ledgers for other applications? That’s really the $64,000 question. In terms of regulatory development, the whole ecosystem has come to exist outside of traditional financial markets and regulators have to address the fact that millions of Americans are involved in these investments outside of regulatory purview, without the regulator crushing the whole thing. JE: Can you describe how you spend a typical day as a CEO? 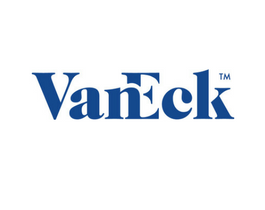 Van Eck: I tend to be a hands-on CEO, focusing on whatever initiatives we have going on right now and I am always involved in reviewing our existing fund strategies and hoping to design intelligent and new fund strategies. So, it’s about those two things: new initiatives and reviewing product development. Put another way, I split my time between our active and ETF businesses. It’s not hard to make that switch. My office is right beside our portfolio managers as I think that’s the heart of the business. There are a lot of synergies by being involved in the passive and active sides. JE: Did you know from a young age that you wanted to take over your father’s firm or did that decision come to you later on? Van Eck: It was later on. I didn’t know what I wanted to do when I graduated college, so I tried a bunch of things. I decided on business and then realised this firm was a great potential platform. JE: You mentioned industry growth not always being around the ‘next big ETF idea’, but are there product gaps that are yet to be filled? Van Eck: We are launching a smaller number of funds than we did in prior years. Our most recent one is a tactical allocation fund, that invests in US equities but can go to cash, using a model that we co-developed with Ned Davis Research and a RIA called Steve Blumenthal from Capital Management Group. I do think there’s a shortage of guidance for investors who want to take some risk off in bear markets. There are not a lot of solutions in that area, so we are excited about that. The US equity market is in a bear market 53% of the time. It’s impossible to believe that, given it’s been going up in a straight line for eight years. Most of the time, investors are either making losses from equity allocations or making back gains, they’re not actually making fresh profits. We talk about global synchronised growth because the earnings of big US companies are driven by global activity and the dollar, as much as what’s going on in the US. Number one, global growth is good. Wall Street is happy there is a business guy in the White House, whatever else you want to say [about him]. Trump is doing a lot of pro-business things after an anti-business President but that won’t last forever. That’s a one-year phenomenon, it won’t continue to boost the market. The economy has to do that.